Building housing new institution was Nobel-winning author’s childhood home. The State Literature Museum opened the Russian A. I. Solzhenitsyn Museum and Informational Cultural Center on May 31 in Kislovodsk, in the Stavropol Territory of the North Caucasus. “The museum in Kislovodsk will be dedicated to the first six years of the writer's life, while the multimedia exhibition covers the period until 1962, the year of the publication of the famous novella One Day in the Life of Ivan Denisovich,” said Dmitry Bak, director of the Literature Museum. Solzhenitsyn spent his childhood in the building that now houses the museum. It was constructed at the beginning of the 20th century by Fyodor Ivanovich Gorin, whose wife was Maria Zakharova, Solzhenitsyn's mother's sister. Since articles belonging to the writer or his family have not been preserved, it has been decided to establish a multifunctional cultural center in the building, in which the typical exhibition is accompanied by a platform for lectures, video screenings, seminars and roundtables. The exhibition will contain photographs, books and video material about the writer's life. From his childhood and youth through his first literary attempts and experience as a teacher to his period in the Gulag, his public life as a writer and publicist, and his eventual exile and Nobel Prize, the exhibition takes the visitor on a journey through Alexander Solzhenitsyn's life, highlighting the most important moments. 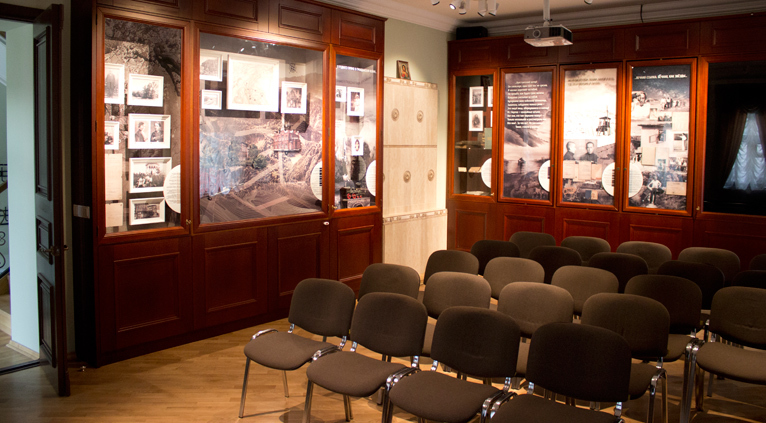 Visitors will also have access to audio and video material containing Solzhenitsyn's readings, archival interview footage and films about the writer. “Natalya Solzhenitsyn, the writer's widow, actively participated in the creation of the museum," says Alexander Podolsky, the museum’s director, who promised to maintain “close contact” with other centers dedicated to the writer, naming the Memorial Museum-Apartment in Moscow and the future Solzhenitsyn Museum in the state of Vermont, U.S.